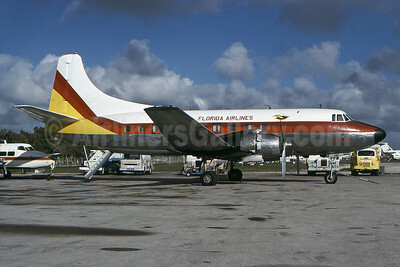 (FE/FDA) (Sarasota/Bradenton) 1967 - 1981. Photos. Framable Color Prints and Posters. Digital Sharp Images. Aviation Gifts. Slide Shows. 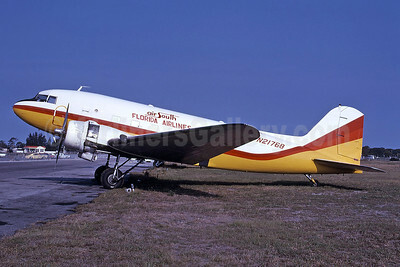 Florida Airlines (2nd) - Air South Douglas DC-3-277A (C-49H-DO) N21768 (msn 2167) SRQ (Bruce Drum). Image: 100430. 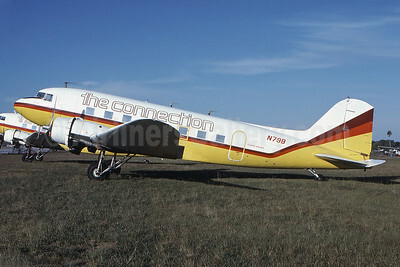 Florida Airlines (2nd) - The Connection Douglas DC-3A N79B (msn 2257) SRQ (Bruce Drum). Image: 100434. Florida Airlines (2nd) Douglas C-53D-DO (DC-3A) N8701 (msn 11628) TPA (Bruce Drum). Image: 100433. 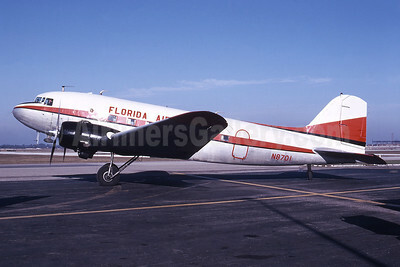 Florida Airlines (2nd) Martin 404 N147S (msn 14161) MIA (Bruce Drum). Image: 100431. 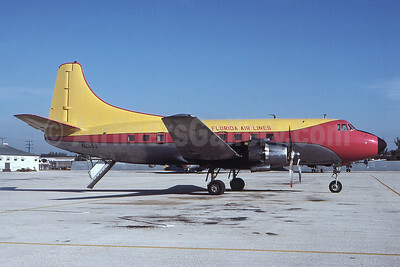 Florida Air Lines (2nd) Martin 404 N255S (msn 14246) (Shawnee Airlines colors) MIA (Bruce Drum). Image: 100432.